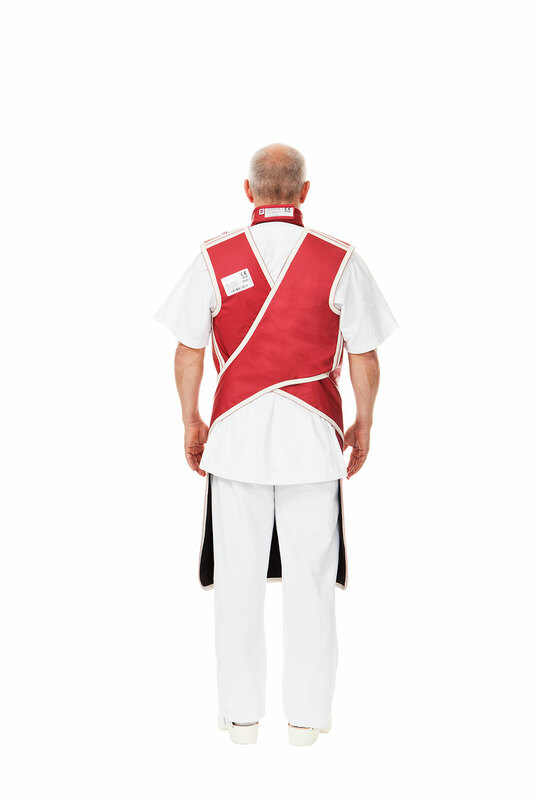 The Easy-Drop lead apron provides protection to the front and has adjustable Velcro strips at the shoulders and hips. 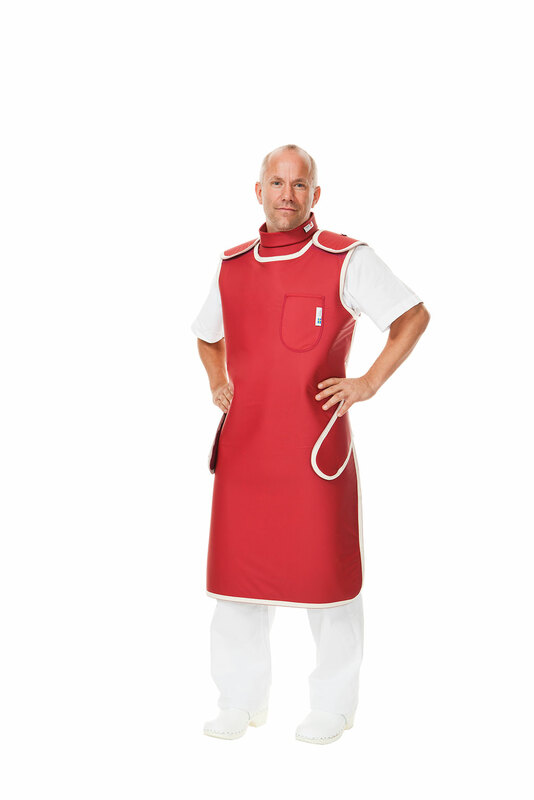 This allows it to be put on and taken off quickly and easily. 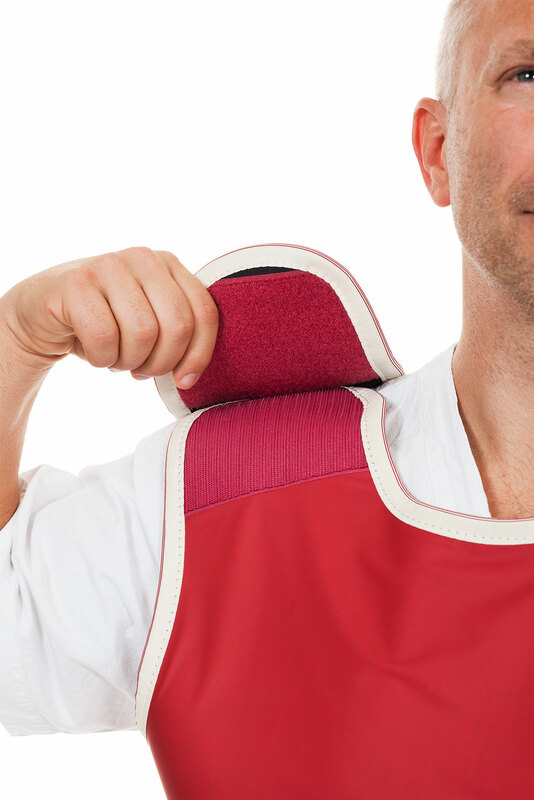 The length of the shoulder strips can be adjusted easily for optimum comfort.